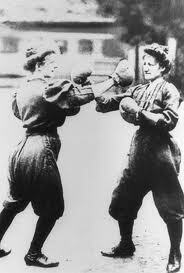 Women’s boxing: a couple of stories from around the web! 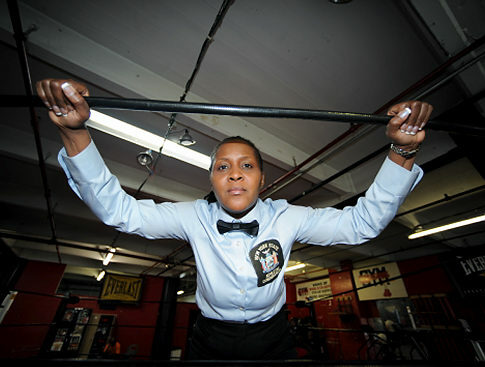 Head on over to the New York Daily News for a great piece about Sparkle Lee, a renowned boxing referee in New York and New Jersey. A lover of the sport who took up training in the 1980’s at Gleason’s Gym, Sparkle never took up the gloves in her own right, but the pro’s loss has been the ring’s gain as she has plied her trade as a the “third (wo)man” for nearly twenty years. Kudo’s to Christopher O’Brien for his inspiring article! The must read link is here. Over at WBAN, Bernie McCoy has a terrific piece up on Terri Moss. Known as “The Boss,” Terri Moss boxed professionally before going over to the other side to run the Decatur Boxing Club in Atlanta. She also recently been named Women’s Boxing Chairman for the Champions of Dignity Association (CODA). CODA is a new sanctioning organization whose proceeds will be used to support the Retired Boxers Foundation. Otherwise, Terri Moss pulls off two corporate charity events a year to benefit Atlanta’s many charities. The link to the article is here.